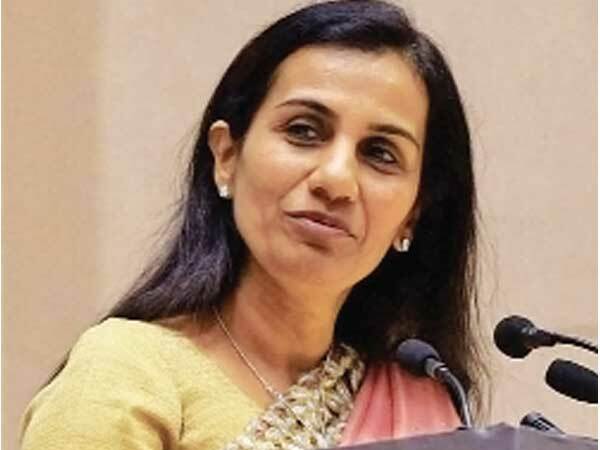 The NDA government is considering a proposal to take back the Padma Bhushan awarded to disgraced former chief executive and managing director of ICICI Bank, Chanda Kochhar (in pic). Home ministry and PMO officials will shortly take a call on the coveted award presented to Kochhar by the UPA government in 2011. She may be the first Padma awardee who will be forced to forfeit the decoration given by the President of India. The Modi government’s proposal gained momentum after the Enforcement Directorate zeroed in on possible money laundering by the Kochhars after having favoured Videocon led by Venugopal Dhoot with multiple loans totalling Rs 3,250 crore. Both the CBI first information report and Justice Srikrishna panel report had corroborated to Chanda and her husband Deepak Kochhar entering into a nexus with the Dhoots and causing huge loss to the ICICI Bank. About Rs 1,750 crore loans availed of by the Dhoots in lieu of considerations given to the Kochhars have turned sticky. The move to strip her off the Padma Bhushan award was floated by at least two cabinet ministers last week. “The government will take a final call on the idea floated in some quarters”, an official source divulged on condition of anonymity. Apart from laundering of funds, the Kochhars and the Dhoots who eventually turned business partners have reportedly purchased assets in Brazil and elsewhere. Already, ICICI Bank has decided to claw back all the ESOPs and bonuses given to Chanda Kochhar during April 2009–March 2018. This totals to a whopping Rs 350 crore. Chanda Kochhar was awarded Padma Bhushan by the Manmohan Singh government along with business stalwarts like Yogi Deveshwar of ITC, Kris Gopalakrishnan of Infosys, Rajendra Singh Pawar of NIIT, Dr G V Krishna Reddy of GVK Group, Ajai Chowdhary of HCL Infosystems, K Anji Reddy of Dr Reddys and Analjit Singh of Max India. Hitherto, actor Saif Ali Khan had faced the possibility of getting stripped off the Padma Shri awarded to him in 2010 by the UPA government. A Mumbai court had framed charges against the actor following a scuffle by the actor at a local restaurant in 2014. RTI activist S C Agrawal had filed a complaint against Khan demanding withdrawal of the Padma Shri warded to Khan. But, the Centre had not proceeded with its proposal. Misuse of office, failure to discharge fiduciary duty, corruption and bungling are some of the charges faced by Chanda Kochhar who has now been sacked following a recommendation by the B N Srikrishna Committee appointed by the ICICI Bank board. Sources divulged that international practices of stripping off the prestigious awards would be taken on board before a final call on Chanda Kochhar is taken. For instance, Aung Suu Kyyi, Myanmar’s top leader was stripped off the Freedom of Paris award and Amnesty award after her reported “indifference to plight of Rohingyas”. However, Nobel peace prize awarded to her in 1991 was not withdrawn. Bill Cosby losing several of his awards after ‘me too’ campaign hit the show business in Hollywood is being closely studied. Chanda Kochhar may be stripped off her Padma Bhushan before a charge sheet is filed by the CBI in 90 days or she’s jailed by a court if the charges against her are proved.